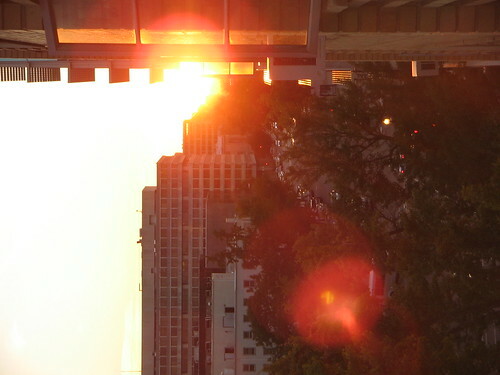 Fall is just around the corner, and as always around this time of year, the ecliptic is aligned such that for a few days, the sunset shines right down DC’s downtown street grid, just so. I took this photo of the start-of-Fall sunset back in September 2004, too. Next post: Mayon Eruption Update: Over?